White teeth are the key to a beautiful smile and an attractive appearance – but, unfortunately, due to an incorrect diet and bad habits, yellowing and discolouration is common. What causes tooth discolouration and yellowing? Frequent drinking of coffee and tea. Some antibiotics, such as tetracycline. This medicine reacts with calcium in the bones and teeth, which in turn causes discoloration. Ageing naturally leads to a reduction in the thickness of enamel, resulting in erosion and cracking. Smoking and use of tobacco products. Traumatic injuries causing haemorrhage inside the tooth. Some foodstuffs, such as soy sauce, spices, or tomato sauce, can penetrate the protective layer of enamel and stain the tooth. Poor oral and dental hygiene. A lack of cleanliness of the mouth and teeth can lead to the growth of bacteria as a layer of plaque, and resultant discolouration of the teeth. There are several different methods for treating and whitening yellowed teeth. Regular use of toothpaste is a must, to avoid tooth decay and Cavities. These days, it is common for toothpaste to contain whitening agents, but typically in small concentrations which has a limited effect. However, brushing with toothpaste can reduce plaque formation, which is an important step. These strips are used after brushing to deal with stains and slightly whiten the teeth. This device contains whitening gel, but it is not normally an effective method compared to products containing higher concentrations of the active ingredients. These products remove external pigments from the surface of the teeth, thereby lightening their colour. The concentration of bleach is lower than that used in the dentist’s office, and so the results are not as good. Laser teeth whitening is one of the most popular dental procedures, giving excellent results with no discomfort for the patient. One or two sessions are required, depending on the degree of teeth whitening required. This method gives immediate and long-lasting results, due to the high strength bleach which may be used safely by your dentist. The laser opens pores in the tooth enamel, allowing deeper penetration of the bleach to treat discolouration that other methods can not deal with. Due to the nature of the tooth whitening process, it is important to refrain from certain activities for up to 48 hours. During this time, the pores of the enamel remain open and the teeth are prone to picking up new stains. Avoid any food or drink that causes tooth staining. This includes: tea, coffee, red wine, cola, soft drinks, juice, curry, pickles, and lentils, among others. Avoid smoking or use of tobacco products. Avoid using mouthwashes that contain chlorhexidine, as this may react with the bleach used in the whitening process. Do not drink cold or hot liquids – stick to drinks at room temperature. Drink plenty of water. This helps to maintain the color of white teeth by rinsing them before stains can develop. Teeth whitening is a very safe process. Our products have been proven harmless, fast, and effective. It is an easy process that works for the majority of people. Don’t forget that clean, healthy and white teeth are sure to improve your appearance, give you a confident smile, and boost your self-esteem. It’s quick, easy and provides fantastic results. 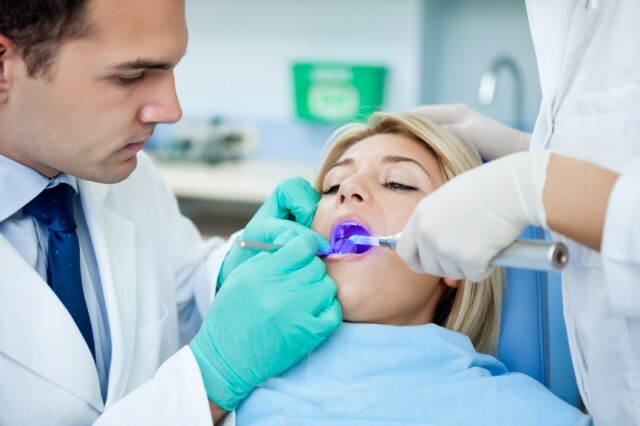 Book an appointment with one of our expert dentists today.